Richmond Council’s Scrutiny Panels investigate local issues to find out how local services can be improved. Past reviews have included domestic abuse, cemetery space and development of residential basements. 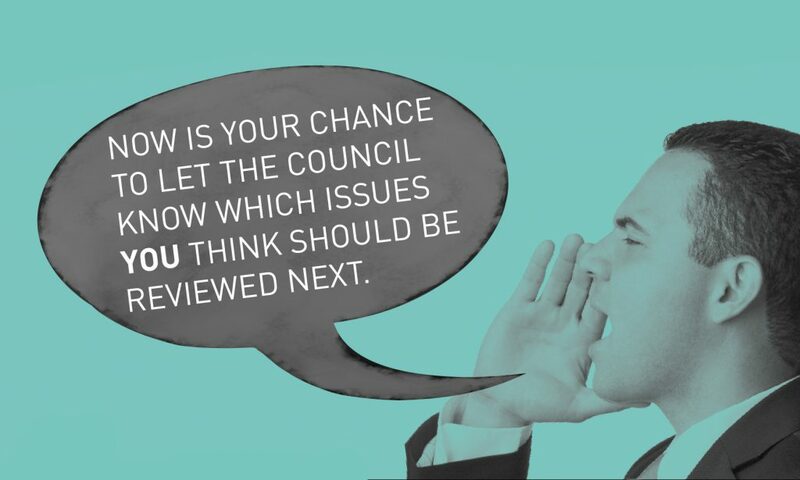 Now is your chance to let the Council know which issues you think should be reviewed next. To suggest a topic for review please complete the online form at www.richmond.gov.uk/scrutiny or email the scrutiny team on scrutiny@richmond.gov.uk. Please submit your suggestions by 23rd February 2018. Please note that councillors on the Scrutiny Committee are not able to deal with individual complaints through the Scrutiny process.